While interviewing this client, I was deeply moved by her story. Amy Mills was very proud of the fact that she had received help through KCEOC’s Weatherization program. Amy stated that she had known about the Weatherization program for a couple of years, but seeing a flyer about it shared from KCEOC’s Facebook page on her timeline, is what ultimately lead her to apply. 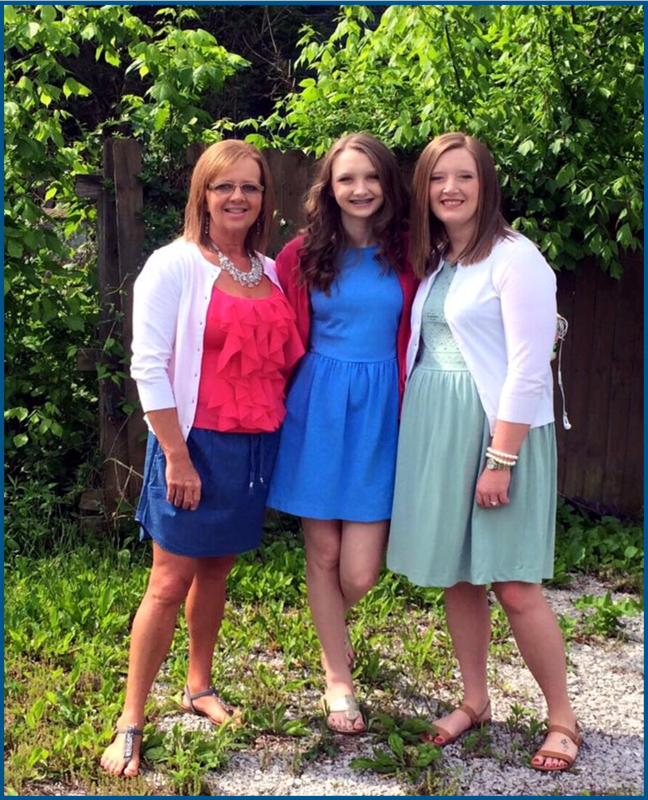 Amy is a Knox County native who loves her community, and loves giving back every opportunity she can. She works in the Knox County School system as a One-On-One Disability Aide. She is also a local crafter, and plays a huge role with her youth group at her church. Amy is a single mother of three daughters, and is very excited about welcoming her first grandchild this summer. However, as she explained it, being a single parent has come with its difficulties and uncertainties. Providing a safe and stable home for her children was top priority for Amy, even though she admits there were times she wasn’t sure how she managed to provide for her children. She always found a way, though. She persevered when things got difficult and life seemed to throw her a curveball. For example, a couple of years ago the heating unit in Amy’s home quit working. Knowing she had to keep her and her children warm, Amy resorted to using space heaters and kept her daughters in one room to conserve energy and stay warm. KCEOC replace Amy’s water heater, heating unit, seals all of the air leaks in her home, minor roof repair, and installed carbon monoxide detectors. KCEOC also installed insulation, smoke alarms, repaired duct work, and installed a mechanical vent. As a result, Amy’s home is now warm, her utility bill is lower, and she now a has a peace of mind.